I loved Valentine’s Day when I was a kid. I loved cutting out red hearts and gluing them to paper doilies. I loved decorating my box to receive valentines from my classmates. And I loved frosting pink cupcakes and pushing little cinnamon red hots into them with my finger. But what I didn’t love was that I was a Valentine heart failure. I couldn’t draw a good heart to save my soul! Just like all the other girls, I learned to fold over a piece of paper and cut half a heart shape on the fold. But when I would open mine up it never looked right. It always looked like bunny ears. Epic fail. I would go through pages and pages of scrap paper, trying each time to get it right. And I never could. I needed remedial heart-making classes. Learn to make these cool Holo Hearts with the Holo Effect Tutorial. So being as it’s time to start gearing up for Valentine’s Day crafts, I decided to make some polymer clay heart shapes. I know better than to try drawing heart shapes. Now that I’m an adult I have software and tools to help me. I looked online for Valentine heart clipart featuring multiple sizes of hearts in the same shape. And I couldn’t find any. So I made my own. And since I know I’m not the only heart-challenged person out there, I figured you might need some heart shapes to cut out. So, I’m sharing my template. Looking for a fun heart project? You’ll love the Holo Effect Tutorial. It’s perfect for making Valentine hearts with a shimmery holographic look. This image is formatted to print on standard letter sized paper and I left enough room on the margins that your printer shouldn’t cut anything off. I’ve included sizes from 5″ down to 3/4″. Each size is exactly the same shape so you can nest these to create frames. And I made two sheets, one in each Letter sized paper and A4. Now you, too, can make nice heart shapes. Without bunny ears. Just click on your chosen link to start the download of a PDF in your chosen format. You can then save it to your computer. You’re free to use it as much as you want, for personal or commercial purposes, but try to give me a link if you can, okay? Oh, and feel free to share this printable on Pinterest or Facebook, linking back here. Others might like to use these as well. The more, the merrier, right? One of my favorite techniques is the Holo Effect, and it’s perfect when used to make Holo Hearts. 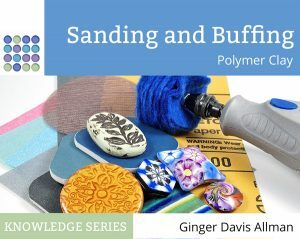 It’s a versatile tutorial and can be used for pendants, journal covers, box lids, barrettes, Christmas ornaments, gift tags, and more. But there’s something about Valentine’s Day that makes me want to make tons of these Holo Hearts for decorations, place cards, and of course Valentines for the people you love. 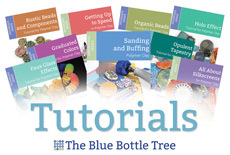 It’s a beginner level tutorial and it’s a great way to get started with polymer clay. Read more about the Holo Effect tutorial here. It’s great to know that not every crafter/artist is perfect. I can’t draw human figures or faces if my Life depended on it ! They always turn out odd looking, unpropotionate, and wonky. But we still try to learn to and if no matter what still can’t get right then we need to focus more on our strengths than weaknesses. Ginger, you are the BEST! Now I have perfect heart templates to use as my hand drawn hearts are slightly off center so I usually make them to look like I intended them to look like that! Very useful for Valentine’s Day – thanks! Thank you! My hearts always turn out so wonky! Ah! Wonky no more! I’m glad I could help! I just checked, both the sizes open just fine on my computer. Are you using it with an ipad? That might be the issue. <3 So generous as always! Thank you. My pleasure. Happy Valentine’s Day! Thank you, Ginger! I’m going to make these for my boy’s 1st grade class and glue pins to the backs and make a little gift baggie (with candy, of course!). I can pin them on the outside, with candy and a card on the inside of the bag.